The GO! Carefree Alphabet Set looks just like those old-school refrigerator magnets. What a fun way personalize any project! 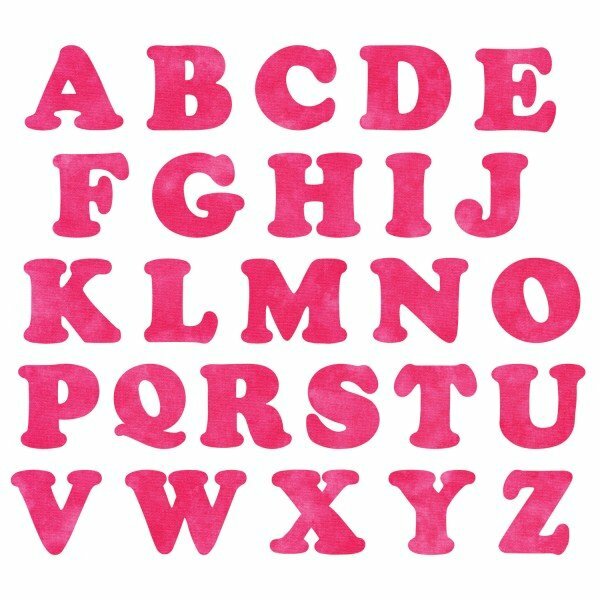 Using the Carefree font, this die cuts one each of the 26 letters in the English alphabet. A perfect use for scraps or stash fabric, you'll find yourself embellishing anything that won't run away. Make a quick applique by applying fusible web to the wrong side of fabric then cut with this die. You'll love how perfectly each letter is cut!